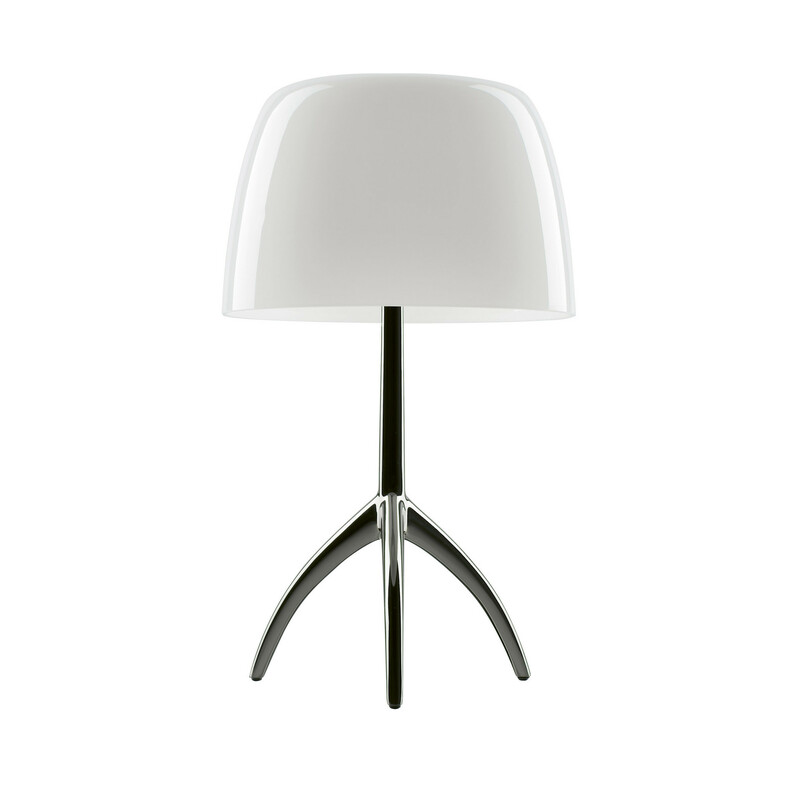 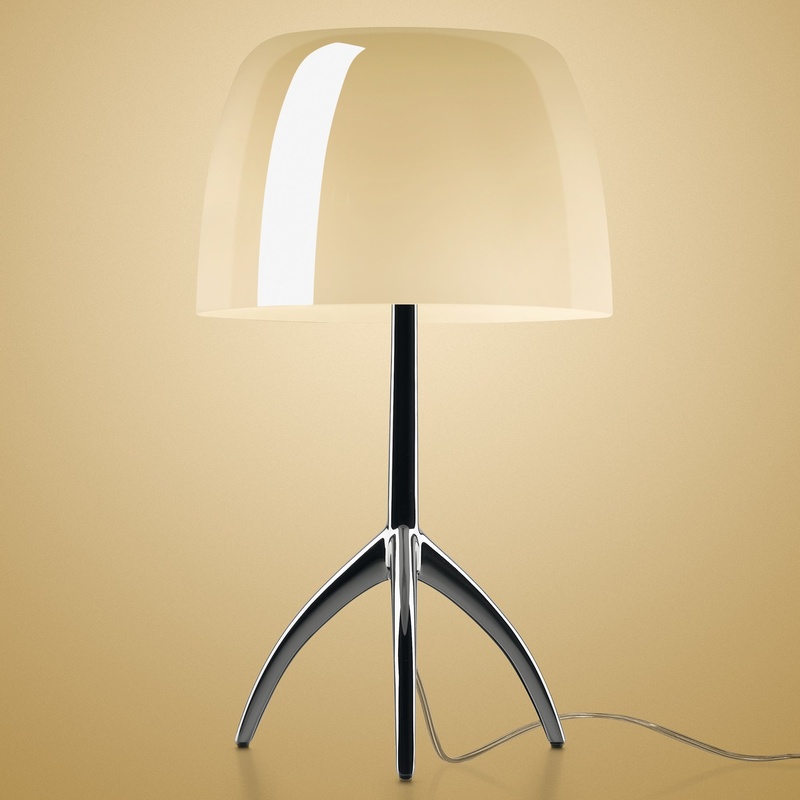 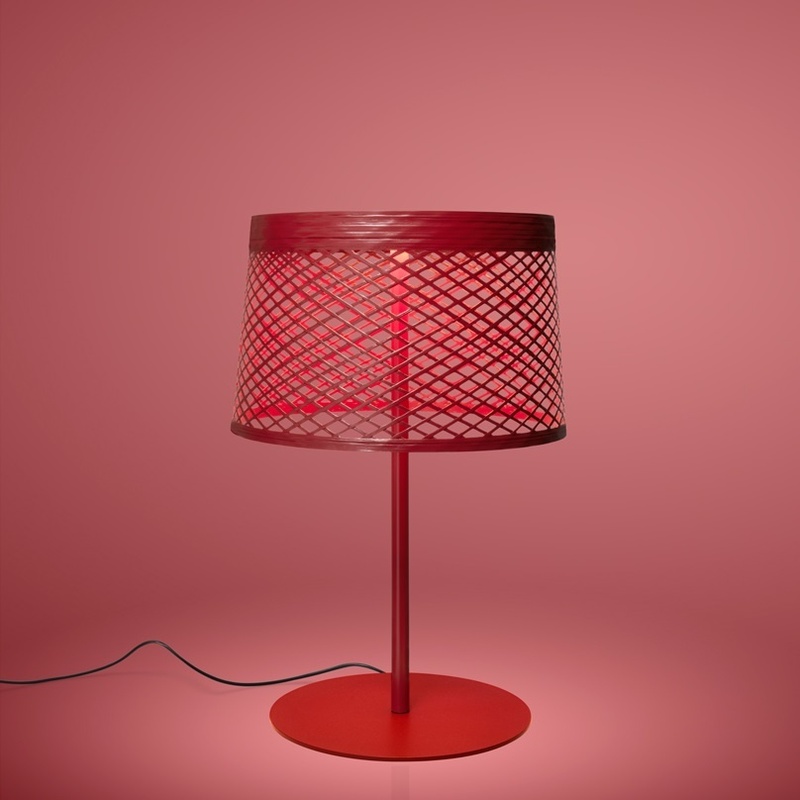 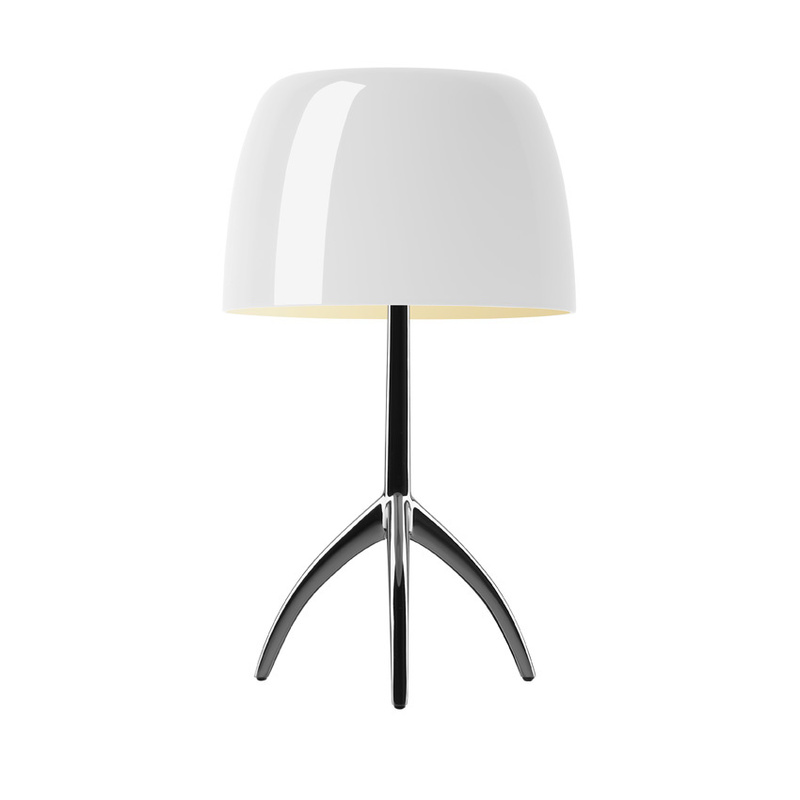 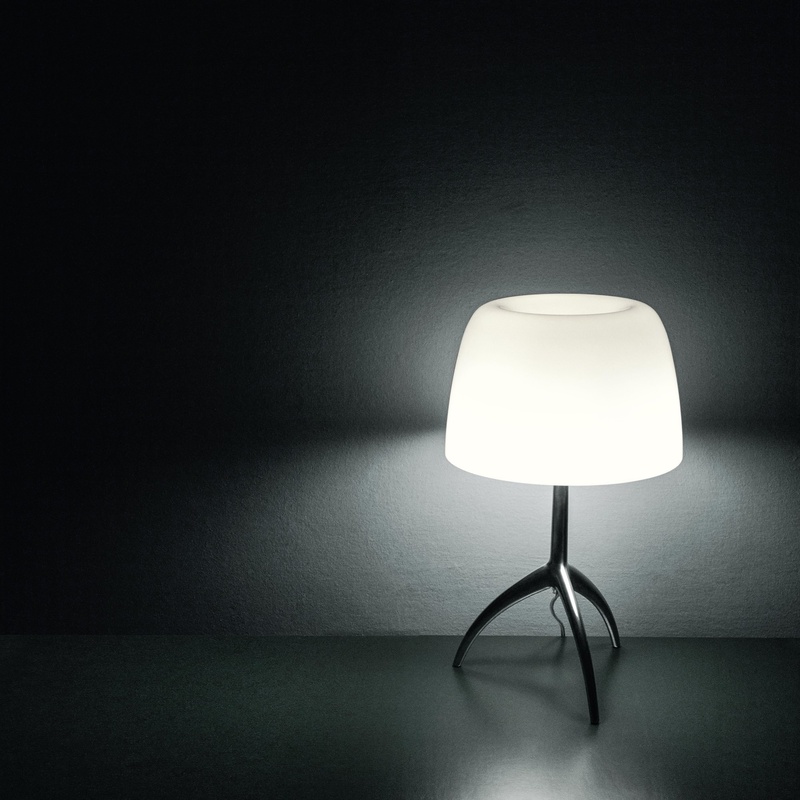 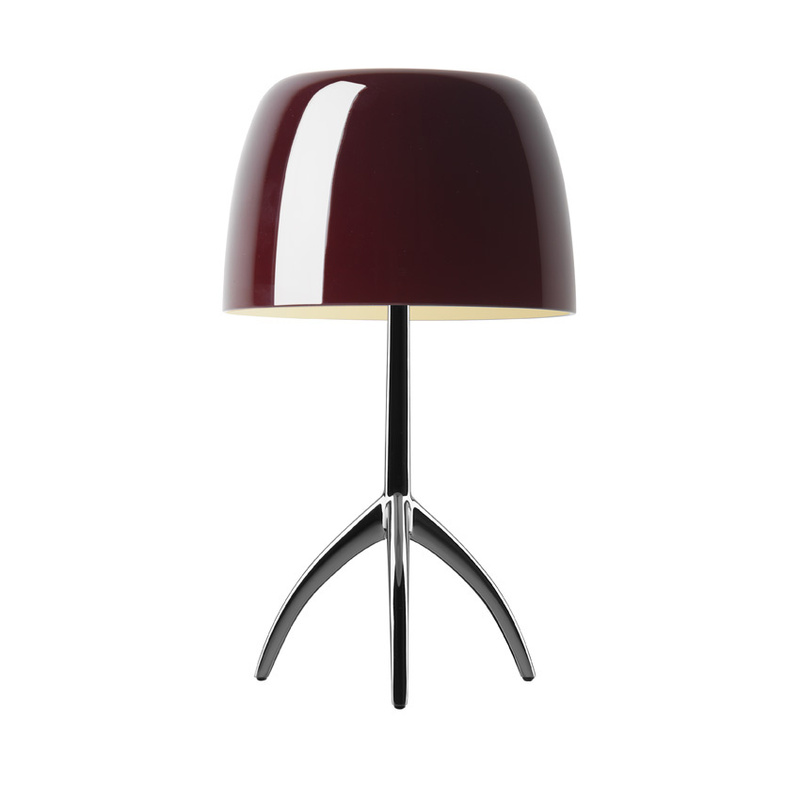 Table lamp with direct and diffused light. 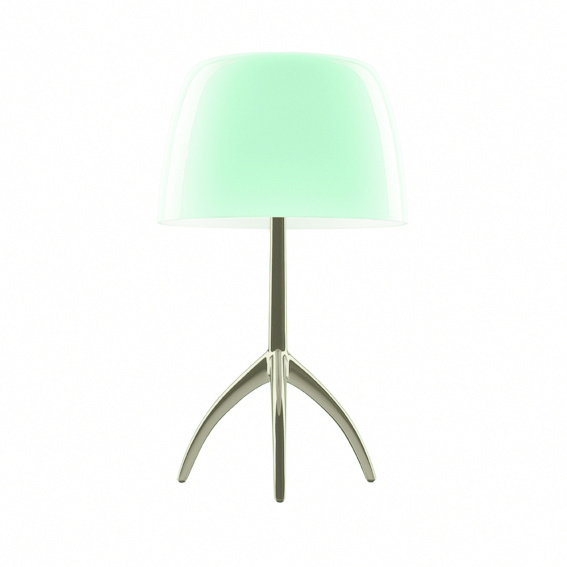 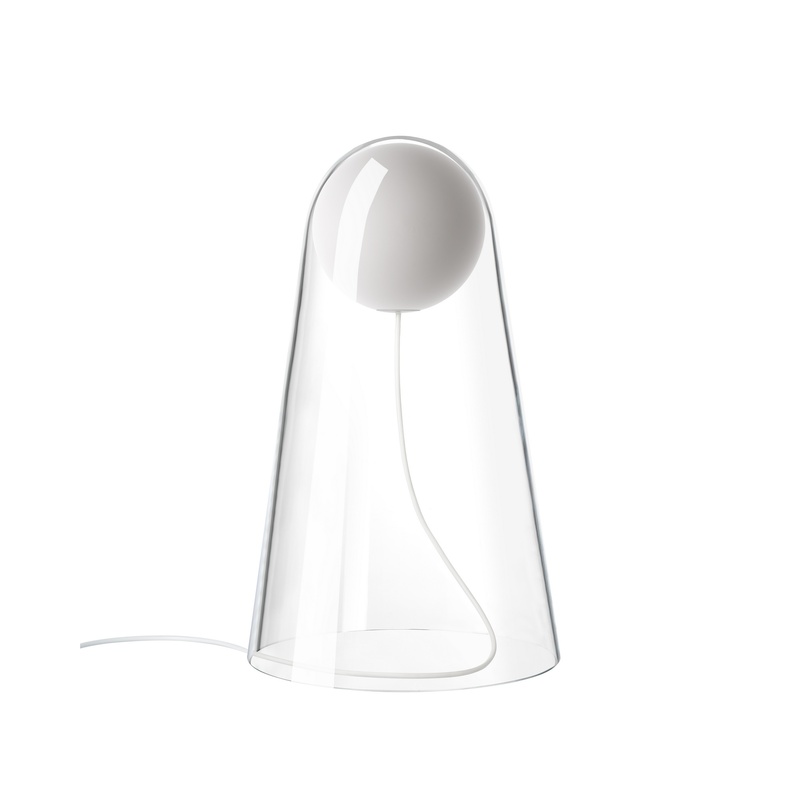 Hand-blown cased glass diffuser with glossy .nish, white on the inside and coloured on the outside. 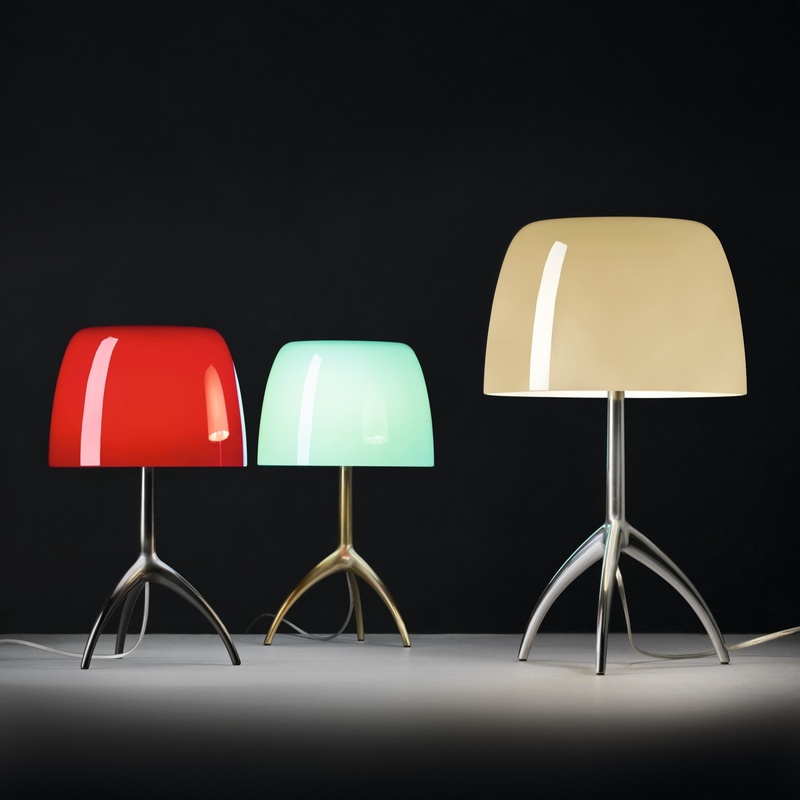 In the turquoise, cherry red and warm white versions, the glass has an additional internal glass layer in a pale, straw-yellow colour (5 layers of glass in total). 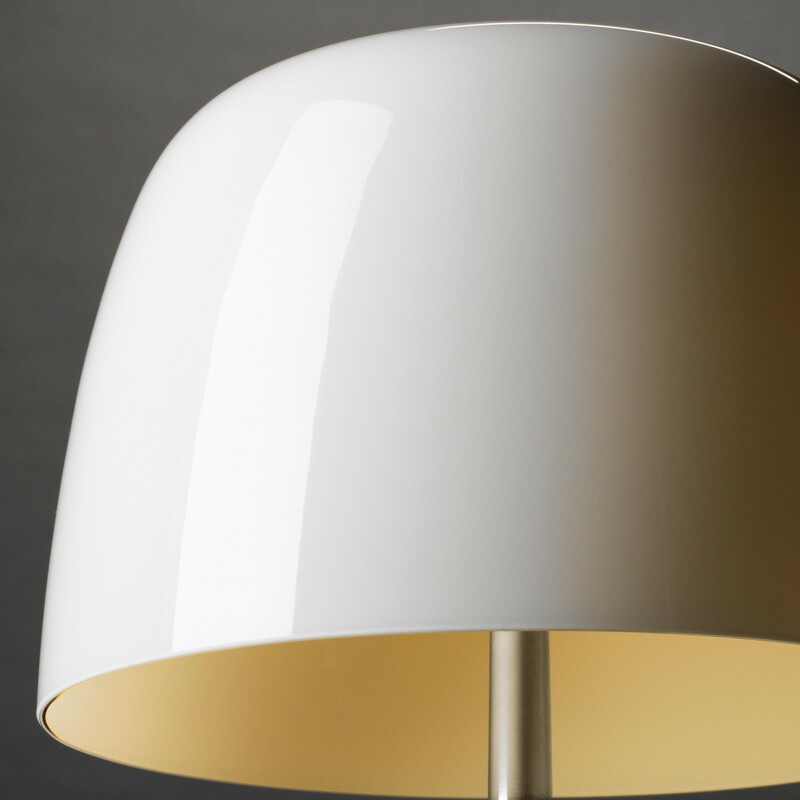 With the straw yellow interior, the "warm white" version appears ivory in hue when the lamp is on and it remains white when off. 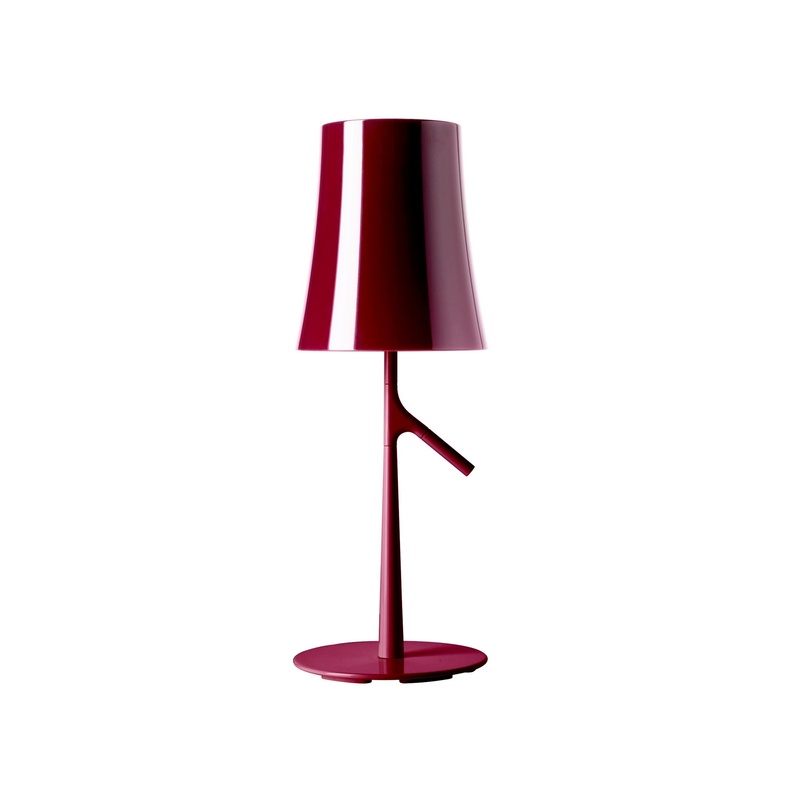 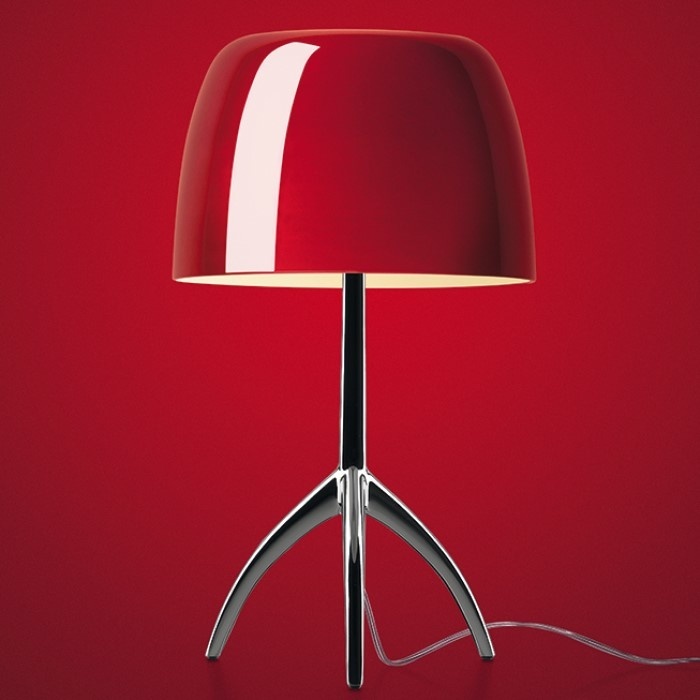 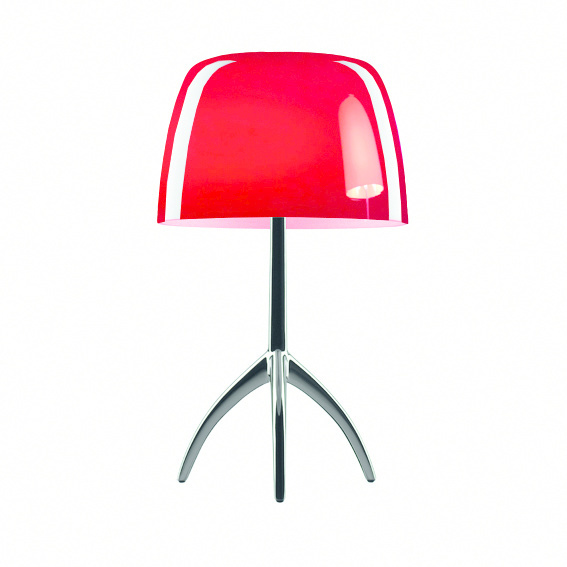 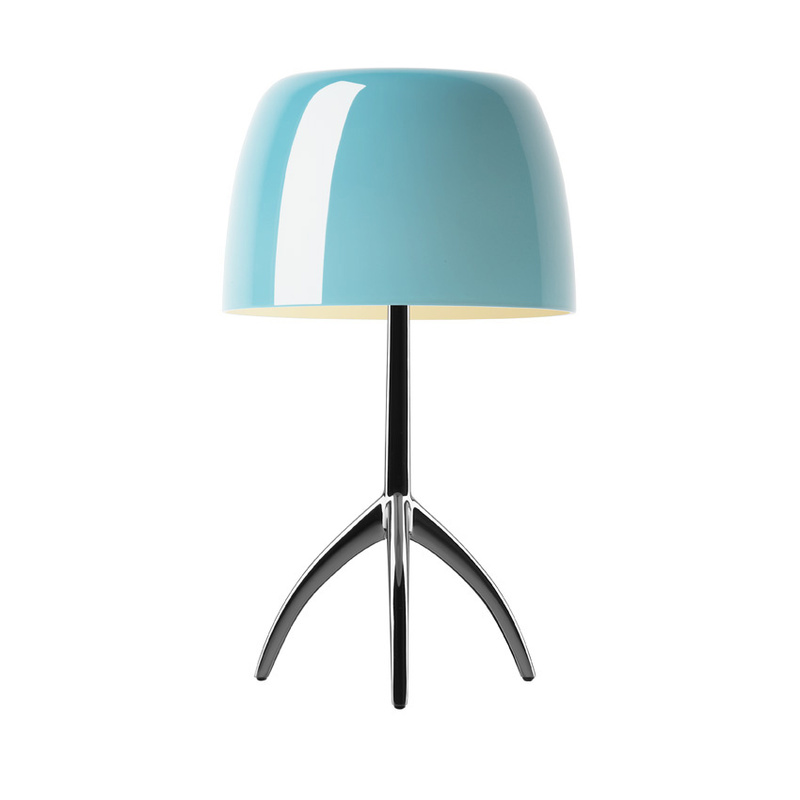 In the cherry red and turquoise versions, this double casing makes the light warmer and the colour more intense. 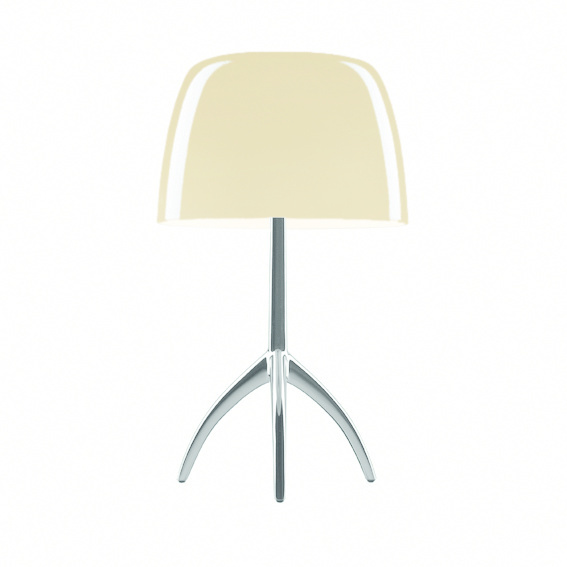 Die cast aluminium tripod base, hand .nished and polished in the aluminium version, coated with liquid paint in the champagne or black chrome version; scratch-proof silicone feet. 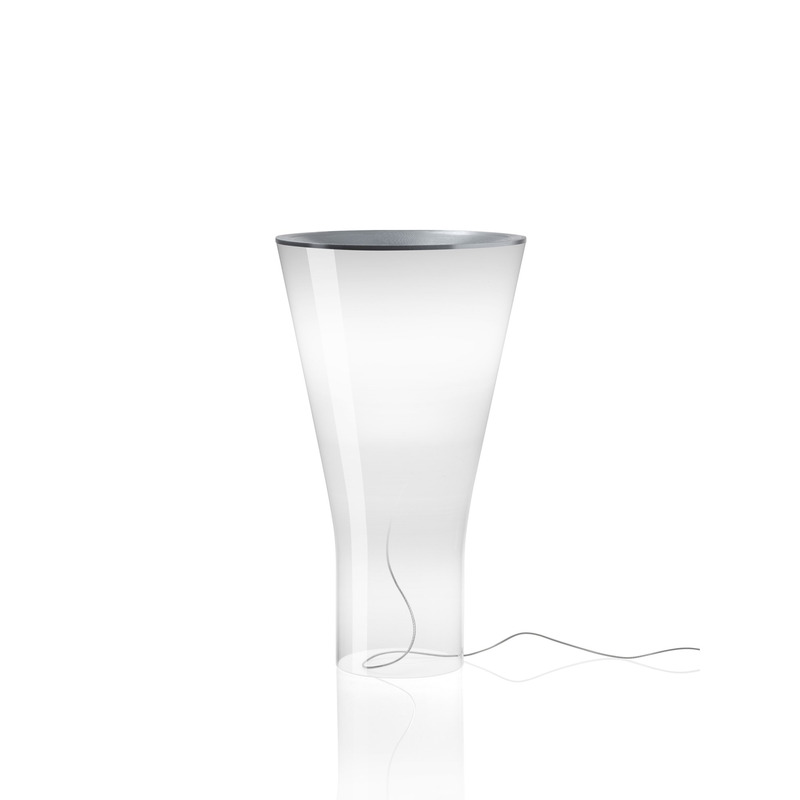 ON/OFF switch on the transparent cable or with dimmer for the gradual brightness adjustment.